On January 27, 2007, The Undertaker won the Royal Rumble by lastly eliminating “The Heartbreak Kid” Shawn Michaels. This was the first time The Undertaker had won this match, which some could argue was truly his last remaining blemish. Now, The Undertaker had a decision of which champion to face: ECW Champion Bobby Lashley, World Heavyweight Champion Batista, or the WWE Champion John Cena. The Undertaker would line all three men up in the ring, and picked Batista. He was walking into The Animal’s cage at WrestleMania and hoping to come out with his undefeated streak still intact. A little over a month prior to the their showdown, Batista and The Undertaker teamed up to face fellow WrestleMania 23 opponents John Cena and Shawn Michaels. Michaels had become Cena’s opponent for the WWE Championship after winning a triple threat match against Edge and Randy Orton on Raw. Cena and Michaels would actually walk into the match as the World Tag Team Champions, in addition to walking out as winners. You see, as Batista gave Michaels a spinebuster, Undertaker executed the chokeslam on John Cena. But, as Undertaker readied to give the Tombstone to Cena, Batista nailed him with a spinebuster before walking out of the ring. This enabled Michaels and Cena to hit their finishing moves on Undertaker and emerge victorious. After The Undertaker had chokeslammed him in the middle of the ring weeks ago, Batista vowed that one day, payback would come. And on this night, it did. He refused to be intimidated, but would that be enough to save his World Heavyweight Championship at WrestleMania 23? Or, would his title reign rest in peace on the Grandest Stage of Them All? Batista had missed WrestleMania 22 due to injury, so at WrestleMania 23, he wanted to make up for it. He wanted to make history. And if he could somehow retain his World Heavyweight Championship and end The Undertaker’s undefeated streak at WrestleMania, he would indeed make history. If he could defeat The Undertaker, he wouldn’t just go down as a former world champion, but he’d go down as an immortal. Undertaker got to his feet and was backed into the corner for a series of strikes, but he turned it around on the champion and did the same. Undertaker turned away to back the referee out of his way, but was met by Batista when he turned back around. He rammed his shoulder against the solar plexus of The Undertaker, attempting to wear down the big man in the early stages. Boos cascaded down at the champion who was usually a fan-favorite. A man who usually fed off the energy of the crowd wouldn’t be able to do so against this challenger. The Undertaker made his eerie, ominous WrestleMania entrance with the defending champion Batista already in the ring. Batista didn’t flinch, he didn’t move a muscle as The Demon from Death Valley made his way to the ring. Most who say they aren’t intimidated of The Undertaker are lying, but it might just have been the truth with Batista. As they stood across the ring from each other, the bell sounded and Batista immediately hit the spear. Batista whipped Undertaker across the ring, and then back into the center for a vicious clothesline. Next, he sent him over the top rope with a second clothesline. He stared down at Undertaker momentarily before being pulled out of the ring feet-first. They brawled on the outside, and Batista eventually came away with the advantage by sending Undertaker crashing into the remorseless steel steps. Batista tossed Undertaker in the ring first, opening up the opportunity for him to climb the top rope—a rarity for a man of his stature. He’d hit a shoulder tackle off the top, and gain a near fall on The Deadman. Michael Cole claimed that he’d never seen Batista come off the top rope. However, JBL responded that this was a special occasion. Not only was it a world title match, but it was a chance to make history. They slugged it out in the middle of the ring, only for Batista to run into the big boot of The Undertaker. The big boot, though, wasn’t enough to ground The Animal, who bounced off the ropes to hit a nasty clothesline. 1, 2, kickout by The Undertaker. Batista again went toe-to-toe with the best pure striker in the history of professional wrestling, and again did so successfully by picking him up then body slamming him back down to the canvas. Batista looked to be dominating this match just when Undertaker denied him of a boot from his knees. Strikes to the abdomen of Batista allowed Undertaker to get to his feet, before another encounter ensued. This time, The Undertaker won and whipped Batista into the corner. He hit a splash, clothesline, Snake Eyes and finally a big boot to ground this powerhouse. Undertaker hit a leg drop on Batista before going for a cover; 1, 2, no. Over 80,000 fans rose to their feet as The Undertaker scaled the top rope to hit Old School on Batista. Undertaker readied for the chokeslam, but Batista animalistically powered out. A knee to the gut then an Irish whip proved to not be Batista’s best idea, as he was the victim of a clothesline. Another near fall followed. After both got to their feet, Undertaker slugged Batista out of the ring. He fell to his knees, but Undertaker knew better than to try to get a countout. He instead took the offense to Batista by breaking the count and slamming Batista head-first into the steel steps. Undertaker then positioned Batista on the apron for his patented leg drop. 300 pounds came crashing down on the neck of the champion, who simply fell motionless to the mat below. Undertaker got in the ring, and came flying out moments later with a suicide dive onto Batista. Undertaker continued his offensive flurry, using the barricade as a weapon against Batista. He rolled into the ring temporarily to break the count, but as he went to continue his methodical dissection of the world champion, the world champion whipped him into the bell table and surrounding steel chairs. Batista now rolled into the ring to break the count, suddenly firmly in control once more. He had survived an onslaught from one of the best frontrunners in the history of the business. He laid a beatdown on The Undertaker, before again wisely breaking the count. He tossed the hood and monitors off the announce table to the left, preparing to send The Undertaker through it. He placed The Deadman on middle table, then hit a series of punches to his face to ensure he was out. He picked him up, and then hit a running powerslam through the table he had previously cleared. Batista, however, had promised that he would defeat The Undertaker by pinfall, and Batista was not a man to break his promise. He continued his offense on the seemingly punch-drunk Undertaker. Then, he led him through the ringside carnage back into the ring. Batista hit rights and lefts to the head of his challenger. Perhaps growing frustrated, he just wanted to beat The Undertaker, break the streak and retain his World Heavyweight Championship. The champion positioned The Undertaker for his Batista Bomb, but Undertaker drove him back-first into the corner. He hit two high elbows before leading him out of the corner, but Batista countered to hit a belly-to-belly suplex. Hook of the leg; 1, 2, no! The Undertaker could have all the grit in his soul he wants, but at this moment, it just wasn’t enough. Batista pounded away at him in the corner. And with each blow, he seemed to be nearing his destiny; his destiny of ending The Undertaker’s WrestleMania undefeated streak. Suddenly, The Undertaker powered out and hit Batista with the Last Ride. A new champion! Cole claimed; 1, 2, kickout! Next was a spinebuster from Batista! He seemed poised to hit the Batista Bomb, but Undertaker recovered quickly then ducked a strike to hit the Chokeslam. 1, 2, another kickout! Undertaker tried to hit a Tombstone, but to no avail as Batista slipped out and hit a Spear. Batista Bomb! Is the streak over? 1, 2, no! Batista went for a second Batista Bomb, but this time Undertaker countered into a back body drop. The Ford Field crowd had reached a fever pitch. Who was going to emerge the World Heavyweight Champion? Would Batista be the man to finally defeat The Undertaker at WrestleMania, or would he be just another victim to rest in peace? Undertaker missed with a right hand. Batista appeared to be attempting a Tombstone, but Undertaker fought out and pushed him into the corner. He rebounded back into a Tombstone Piledriver! Cover: 1, 2, 3! Through a hellacious battle with a man of animalistic strength, The Undertaker somehow emerged WrestleMania 23 with his streak intact and as the new World Heavyweight Champion. The Lord of Darkness was reigning again, but he hadn't seen the last of Batista. After The Undertaker left WrestleMania 23 still undefeated and as the World Heavyweight Champion, Batista congratulated him before quickly asking for his rematch. That rematch would be granted by Smackdown General Manager Theodore Long, but not in just any match: in a Last Man Standing Match. Although Batista lost at WrestleMania, he likely could have won by countout numerous times. Undertaker, though, couldn’t make the same claim. So, how was The Undertaker going to keep Batista down for the ten count? On the flip side, after Finlay attacked him with a shillelagh, Batista went into the match with a heavily taped hamstring. Even after having the match of his career at WrestleMania, he still could not beat The Undertaker. So, how was he going to manage to do so with an injury? Either way, at the end of the night, one of these proud men would be beaten down so badly they wouldn’t be able to answer to count of ten. The question remained: which one would it be? In contrast to their WrestleMania match earlier in the month, The Undertaker gained the quick advantage with a big boot to Batista to start things off. He followed up with two elbows to the head of the former champion, then some strikes in the corner. It’s worth noting that for his whole career, Undertaker had worn the elbow pad on his left elbow. But with an injured right elbow, he would wear it there on this night. After some strikes in the corner, Undertaker whipped Batista to the opposite side of the ring. Batista, though, fought back with an elbow and Irish whip. Undertaker ducked the oncoming clothesline from Batista, and went for the chokeslam. However, Batista again battled out. Batista looked to be on the offensive, but to no avail as The Undertaker hit a clothesline. Headbutts weakened Batista just enough for Undertaker to balance himself on the top rope and hit Old School. Batista would soon counter Undertaker’s offensive flurry with a bodyslam. Already evident in this match was the fact that after these two men battled at the Showcase of the Immortals, they knew each other better. Therefore, there hadn’t yet been a long stretch of dominance from either competitor as there had been in their first encounter. Batista sent Undertaker to the outside and followed himself. He took the offense to The Deadman, utilizing the protective barricade and the ring apron to make The Undertaker light on his feet. He planned on using the steel steps next, but that planned backfired and Undertaker was instead the one bashing Batista’s head into the unforgiving steel. Batista reached his feet at the count of four. Undertaker continued working him over, with headbutts and strikes to the abdomen of Batista. A kick to the knee would ground The Animal. Luckily for him, it wasn’t the leg with the taped hamstring. Undertaker again used the steel steps to compromise the head and knee of Batista. There had been a lot of shots to the head of both men so far, as if they were groggy enough, they wouldn’t be able to answer the count. As for the knee, Batista already had an injured leg. And if he couldn’t stand up, he obviously wouldn’t be able to answer the referee’s count. So, both strategies appeared to be sound. In the following minutes, the tape on Batista’s hamstring was a bullseye for The Undertaker to center his offense around. Undertaker would take advantage of his work by hitting the leg drop across the throat of Batista on the apron. He collapsed to the floor as the count began; a count Batista would answer at five. Batista would whip Undertaker into the steel steps legs-first, pitting his own strategy against him. Undertaker would slide back into the ring, as Batista sneaked up to the top rope. Undertaker would thwart this however, with a couple of strikes to the chest. Undertaker pulled down the straps on his singlet before heading to the top rope. He nailed a superplex on Batista, shaking the ring to it’s very core. Undertaker reached his feet at seven, Batista at eight, at least momentarily. Batista’s injured leg looked to be playing a major factor now, as it was wobbly and hardly allowing Batista to stand. Not only would he have a difficult time answering the count, but it took away the power source for a man who relied heavily on his strength. The two heavyweights went back-and-forth with haymakers in the center of the ring. Batista eventually won this exchange with a clothesline. Undertaker reached his feet at eight, but was sent back down with another clothesline. He got up again, but this time ate a bodyslam from Batista. Batista dropped his leg on the neck of The Phenom before the referee began counting once more. Undertaker rolled towards the ropes and pushed the second rope down to send Batista flying. He got to his feet on the outside, answering the count, and then cleared off an announce table. Before he could use that table to his benefit, Batista drove him into the barricade. He may been have injured, but Batista was digging deep within himself to find power. After all, this wasn’t the time to throw a pity party or even worry about his injury; it was time to regain his World Heavyweight Championship. Undertaker got to his feet and countered a bodyslam through the table with a backbreaker. When Batista reached his feet from that, he was met with steel steps collapsing his skull. As Batista pulled himself up, blood trickled down his forehead and nose. Undertaker placed Batista on the empty announce table, then climbed the barricade for a leg drop on Batista through the table. How was Batista possibly going to recover from this? Undertaker looked on, astonished, as Batista somehow got to his feet at the count of nine. He wasted no time going back on the assault. After some offense on the outside, Undertaker whipped Batista across the ring and hit two clotheslines in the corner. He followed up with Snake Eyes, then ran across the ring. Normally, he’d hit a big boot, but he was instead hit with Batista’s spear. Just as Undertaker reached his feet, he was nailed with a spinebuster, but the resilient Undertaker answered the count at five. However, he ate another spinebuster upon reaching his feet. Batista pulled him up for third spinebuster. “What in the hell has gotten into Batista?” JBL asked. “The World Heavyweight Championship is what’s gotten into Batista!” Michael Cole responded. Undertaker got to his feet at nine, with Batista ready to hit him with the Batista Bomb. Undertaker drove him to the corner instead though, before they met in the middle of the ring; chokeslam! Undertaker fell to the canvas after slamming Batista, but eventually would answer the count, as would Batista. Undertaker positioned Batista in the corner for a series of strikes, but Batista countered into the Batista Bomb! Undertaker still would answer the count at nine. What was it going to take to put The Deadman away? Batista introduced a steel chair into the match with a shot to The Undertaker’s head. He readied him for a Batista Bomb onto that chair, but Undertaker powered into a back body drop onto the chair. Next, Undertaker hit the Tombstone Piledriver. “Ballgame!” JBL shouted. Except for it wasn’t the ballgame. Batista answered the count at nine. He wanted the World Heavyweight Championship back, and he didn’t care what he did to his body to get it. They now brawled up the ramp, onto the edge of the stage, with Undertaker largely maintaining the advantage throughout. 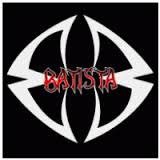 Batista would fight back, with strikes, sending them to the opposite end of the stage. Batista tried the Batista Bomb, but Undertaker successfully got out by attacking the bad leg. A couple more strikes later, Undertaker went for the Tombstone once more, but Batista scurried out. Spear! Spear by Batista off the stage! The railing portion of the stage collapsed on top of them as equipment exploded. Neither man was moving. Neither man would answer the count of ten. After pushing themselves past the limit in the Last Man Standing match at Backlash, no issues were resolved between The Undertaker and Batista. Batista still had a rightful claim to challenge for the World Heavyweight Championship that belonged to him a little over a month ago. So, Smackdown General Manager Theodore Long decided to lock them inside a steel cage to resolve their issues. To determine who the true, deserving king of the Smackdown jungle was. Saying there was a big fight atmosphere in Pittsburgh for this Smackdown main event would be a dramatic understatement. Tension filled the air, as the fans knew two behemoths of professional wrestling were going to go at it again, perhaps for the final time. On this night, one man would escape the cage triumphantly as a champion, and the other would leave battered, bruised and with nothing to show for it but a broken soul. Undertaker slammed the door behind him and stared at Batista. Nowhere to run, nowhere to hide. The only thing standing in the way between them and the World Heavyweight Championship was each other. The bell sounded and the two combatants stood toe-to-toe, trading blows, both attempting to get the early advantage. Undertaker eventually would win the battle with a big boot to the face of Batista. He’d go for the cover, but Batista obviously wasn’t going down that easy. Undertaker looked to begin punishing Batista. He utilized the strikes, which is always an essential part of his game, before focusing in on the injured leg of The Animal. Much like at Backlash, Batista had a wrapped hamstring thanks to an attack from Finlay weeks earlier. After a successful bodyslam, Undertaker went for an elbow drop, but Batista moved out of the way. Batista then took control off a clothesline, cover: 1, 2, no. However, he then made the mistake of getting impatient and going for an early Batista Bomb. Undertaker would fight out of the devastating move by attacking the taped hamstring. He’d drop an elbow on the leg, and lock in a submission before Batista battled out. 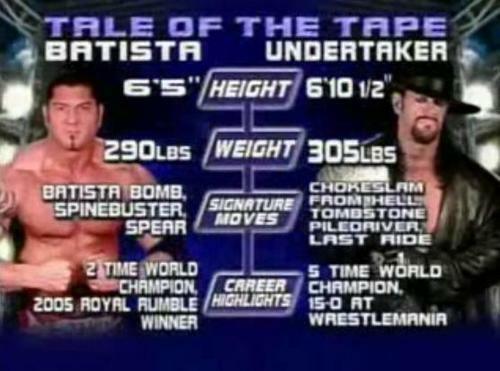 This match would become a story of Undertaker’s dissection of Batista’s injured left leg versus Batista’s heart, desire, and sheer power game even with the compromised state of the leg. It also helped that Undertaker had an injury of his own: his right elbow. He wore the elbow pad and tape underneath once again to try to combat the injury. Back-and-forth they went, with neither man sustaining a long stretch of offense. Although plagued by commercial breaks this time around, this match reached the high expectations thrust upon them by their previous two matches. In the closing minutes, Undertaker looked to be in control with a couple clotheslines in the corner, Snake Eyes, and a big boot. To follow was a chokeslam. “Ballgame!” JBL called. 1, 2, no! The Tombstone was next, but Batista wouldn’t allow it. He squirmed out and slammed The Deadman head-first into the steel cage. This turned the tide and gave Batista mounting momentum throughout a commercial break. When Smackdown returned, Batista nailed a spinebuster. Cover: 1, 2, no! Undertaker was gushing blood as Batista took him to the corner. Punch after punch, Batista opened up the wound even more. He looked to escape, but instead was the victim of the Last Ride. Undertaker collapsed before merely putting his arm over Batista; 1, 2, shoulder up! Undertaker headed for the door, and crawled towards victory, but was pulled back inside the cage by The Animal. Batista climbed the top rope and Undertaker followed. The Phenom would grasp Batista’s throat then look to the mat below, but Batista elbowed out of his hold. He’d soon knock his opponent to the mat and try to climb out of the cage. One leg was over as Undertaker sat up. Undertaker gained ground, climbing on the cage wall beside him. Batista looked to have a slight advantage, but Undertaker had the wiser climbing strategy. Both dropped to the ground, but who did first? It was a photo finish! After talking it over with a fellow referee, and watching the replay on the commentary table’s monitors, Jimmy Korderas concluded that both men’s feet reached the floor at the same time. Therefore, The Undertaker again retained his World Heavyweight Championship in a draw. The steel cage was raised as Mark Henry returned to attack The Undertaker. He’d pick up the scraps and destroy what little was left of him, opening up the opportunity for Mr. Money In the Bank Edge to cash in his briefcase. And he did just that. Edge stormed to the ring, with the briefcase in hand, and cashed in his championship match. Although The Undertaker would kick out of his initial cover, Edge would put him away with the spear. “Not this way, dammit!” Michael Cole pleaded. Your winner and new World Heavyweight Champion, Edge! After returning from his numerous injuries and disposing of the “World’s Strongest Man” Mark Henry, The Undertaker was ready to resume his rivalry with Batista. And even more than that, The Undertaker was hell bent on regaining the World Heavyweight Championship that Batista now held. You see, Edge would eventually have to hand the title over to SmackDown General Manager Theodore Long due to an injury. To crown a new champion, Long held a Battle Royal on SmackDown, which The Great Khali would win. Khali’s dominance over the blue brand would see him down Rey Mysterio and even Batista numerous times before Batista overcame the odds and became the World Heavyweight Champion once again. Now, the rivalry of Batista and The Undertaker was ready to resume at Cyber Sunday. If he planned on staying champion long, Batista was going to have to do something he had never done before: defeat The Undertaker. Batista, however, did have one advantage that he previously didn’t have in any of the great trilogy of matches with The Undertaker that captivated the world earlier in the year, that being that he was in his hometown of Washington, D.C. The fans would choose “Stone Cold” Steve Austin to be the special guest referee over Mick Foley and JBL, to the dismay of JBL. JBL believed as a “wrestling god” that his millions of fans would vote to put him back where he rightfully belonged: a main event pay-per view match. JBL and Foley argued and brawled before they both ate the Stone Cold Stunner for their efforts. With JBL out of commission, Hall of Famer Jerry “The King” Lawler joined Michael Cole on commentary. We were now ready for these two giants to again collide. The question remained: Who would leave Washington, D.C., the World Heavyweight Champion? Off the cover, Undertaker gave Batista one more boot before beginning to dissect his left shoulder and arm. Ironically, Undertaker’s arm had been injured in their past series of matches, and Batista had dissected it. Now it was kind of deja-vu. Undertaker wrapped Batista's arm up in the rope and kept it entangled before Austin physically broke it up after a five count. Batista now powered Undertaker into the opposite corner of the ring, driving his shoulder into the ribs of The Undertaker, following up with a monstrous uppercut. He dragged Undertaker along the ropes and smashed his head into two different turnbuckles. Right hands to the face and kicks to the gut were Batista’s next offensive moves. You could hear the intensity Batista was approaching this match with. Grunts, moan, unleashing all he had, all in an attempt to beat a man he’d never defeated and retain a championship that Undertaker previously took from him prematurely. Batista took control, quickly kicking The Undertaker out of the ring. The Animal stalked his prey, not letting him escape to collect himself. The protective barricade and the steel steps were now in play, as Batista battered Undertaker’s head off both objects. He drove him kidney first to the apron after repeated knees to the gut. Back in the ring, Undertaker ducked an oncoming clothesline to hit one of his own. “Will Undertaker win the championship?” Michael Cole asked as Undertaker went for a cover: 1, 2, no. Undertaker twisted Batista’s arm around and scaled the top rope for Old School. However, Batista fought out. Undertaker now rested in a dangerous position on the top rope. Batista climbed up and hammered away at The Phenom before trying a superplex. Undertaker countered, though, and knocked Batista to the canvas. Undertaker came off the top rope and went for the pin: 1, 2, Batista got his shoulder up. Undertaker had attempted near fall after near fall, yet the champion just wouldn’t go away. Batista’s eyes appeared to be glazed over and his confidence shaken. He couldn’t pull himself together as Undertaker hit two clotheslines in the corner and a snake eyes into the turnbuckle. Undertaker went for his big boot, but Batista met him with a massive clothesline! Cover, 1, 2, no. his counter-fest continued with Undertaker driving Batista back, out of a Batista Bomb, into the corner. Batista would reverse an Irish-Whip to the opposite side of the ring, and try a spear of sorts. However, Undertaker moved out of the way, and Batista’s already injured left arm slammed against the cold, remorseless steel ring post. With Batista weakened sufficiently, Undertaker believed he was ready for Old School. But Batista grabbed him out of midair and reversed the move into a thunderous spinebuster. “Unbelievable!” Jerry Lawler muttered, as Steve Austin simply shook his head in disbelief. Cover, 1, 2, Hell’s Gate! Undertaker countered into Hell’s Gate! Batista’s arm wound around fast but slowed down before he completely faded away. Austin lifted his limp arm once, but Batista began moving again the second time. Batista wisely rolled Undertaker up, forcing him to break the hold. Undertaker called for a chokeslam, but Batista elbowed out. He pounded away at Undertaker and sent him across the ring. He ducked one clothesline, but ran directly into the chokeslam! Cover, 1, 2, no! The crowd exploded for its hometown hero! The Animal was now the prey as Undertaker looked to hit the Tombstone, but Batista squirmed and bounced off the ropes for a spear. Cover, 1, 2, no! The Washington, D.C., crowd groaned in utter shock. The Undertaker could have all the grit in his soul he wants, but at this moment, it just wasn’t enough. Batista pounded away at him in the corner. And with each blow, he seemed to be nearing his destiny; his destiny of ending The Undertaker’s WrestleMania undefeated streak. Suddenly, The Undertaker powered out and hit Batista with the Last Ride. A new champion! Cole claimed; 1, 2, kickout! Next was a spinebuster from Batista! He seemed poised to hit the Batista Bomb, but Undertaker recovered quickly then ducked a strike to hit the Chokeslam. 1, 2, another kickout! Undertaker tried to hit a Tombstone, but to no avail as Batista slipped out and hit a Spear. Batista Bomb! Is the streak over? 1, 2, no! Batista went for a second Batista Bomb, but this time Undertaker countered into a back body drop. The Ford Field crowd had reached a fever pitch. Who was going to emerge the World Heavyweight Champion? Would Batista be the man to finally defeat The Undertaker at WrestleMania, or would he be just another victim to rest in peace? Batista’s intensity ratcheted up. He measured The Undertaker and promptly nailed him with a second Batista Bomb. Cover: 1, 2, 3! Both of these men put their bodies on the line to be the world champion, to be the king of the Smackdown jungle. But, at Cyber Sunday 2007, Batista emerged still the World Heavyweight Champion. The Undertaker looked up the ramp at Batista in fury. This rivalry had reached a boiling point. The only thing left for these two men to do was step inside the Devil’s playground, where neither would emerge the same man. Batista had won one match, The Undertaker had won one match, and they had wrestled to two draws. Now, they would step inside the satanic Hell in a Cell structure for the rubber match. Many believed that the match being inside Hell in a Cell would favor The Undertaker, who had experience and comfort inside the structure. In fact, this was the eighth Hell in a Cell match of his illustrious career. He had ruined careers in this match such as that of Mick Foley, who he threw off the cell and through the cell. Foley would arguably never be quite the same again. Undertaker now went to work on a grounded Batista. Then he pulled him up and smashed his head into the nearest turnbuckle. Batista ate strikes in the corner from the best striker in WWE history. Undertaker whipped him to the other side and hit snake eyes followed by a big boot. “Vintage Undertaker!” Michael Cole proclaimed. Cover, 1, 2, no. Undertaker pulled a steel chair out from under the ring, but before he could use it, Batista shocked him with a spear. Batista picked up the chair and ran into the corner at The Undertaker, but Undertaker denied him with a boot to the chair which bounced his skull. Undertaker with a clothesline, cover, 1, 2, no. Next was an attempted Triangle Choke, but Batista would have none of it. He fought out and rolled to the outside, where Undertaker followed. Undertaker bounced Batista’s head off the steel steps before landing strikes and kicks to the skull. He’d use the cell as a cheese grater against the flesh on Batista's head. The Undertaker quite literally smelled blood. He knew his prey was severely weakened and now was the time to strike. He placed his forearm on the throat as he went for a cover: 1, 2, no. He did the same thing once more but failed to pick up the three count again. Undertaker turned his attention to Batista’s shoulder for Old School, but Batista would counter the classic move into a spinebuster. Batista gasped for air before rolling into a cover: 1, 2, no. Both men reached their feet at the same and went at it with strikes. Back and forth they'd go until Batista finally gained the upperhand with a clothesline. A near fall would follow. Batista drove his shoulder into the gut of The Undertaker, picked him up, and slammed him down for a running powerslam. Hook of the leg, 1, 2, no. “Shoulder up!” the referee shouted at Batista. Undertaker went to the outside, which was perhaps more dangerous than being in the ring when inside the cell. 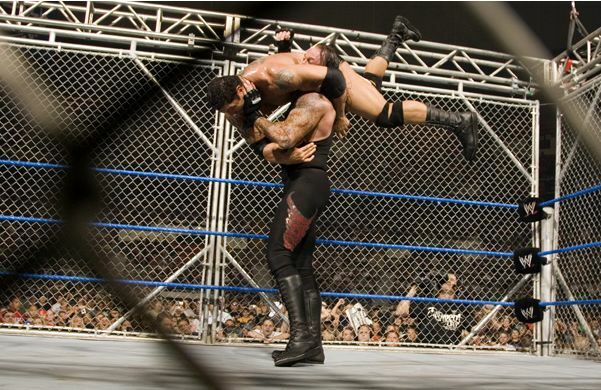 Batista used the steel steps as well as the cell as weapon before flattening him with a clothesline. Undertaker reversed Batista’s whip into the steel steps to send Batista into them himself. As JBL put it, both men were throwing bombs at each other. They were swinging for the fences in hopes of emerging the cell as the World Heavyweight Champion. 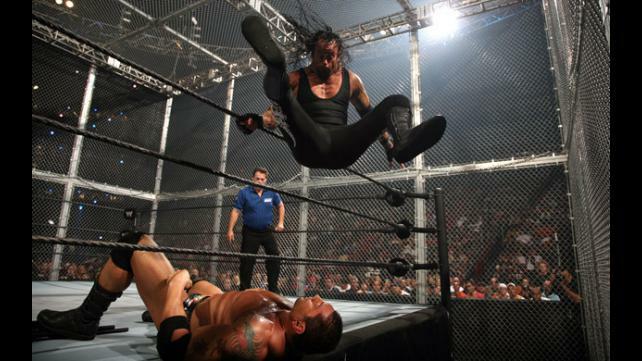 Undertaker continued his attack by driving Batista head-first into the cell in a snake eyes-like move, then hitting him in the head with a steel cage. Batista was now busted open. Blood trickled down his face, into his eyes, not to mention the blood that had been spewing from his mouth for a while now. Not only was he having difficulties breathing, but his vision was now impaired. Cover, 1, 2, kickout. The rabid, rage infested Edge dragged Batista over Undertaker for the cover. The referee, powerless to stop it, had to count: 1, 2, 3! This night wasn’t about Batista or The Undertaker etching his name in the record books as one would have expected; but it was all about “The Rated R Superstar” Edge. After vacating his World Heavyweight Championship months ago, Edge returned and screwed The Undertaker yet again. This would be the final singles match between The Undertaker and Batista for two whole years, and the dynamic between the two would be completely different by that point. However, they would face off in a triple threat match the next month along with Edge for the World Heavyweight Championship. Edge would emerge that match victorious thanks to the debut of Zack Ryder and Curt Hawkins, and then enter a hellacious rivalry with Undertaker in the months that followed. “I’m going to rip your head off, Rey,” an exhausted Batista claimed to his friend Rey Mysterio, after a fatal-four way match where Mysterio had broken up his pin that would’ve made him the new World Heavyweight Champion. “You think I’m kidding?” he asked. “I’m tired of my best friend stabbing me in the back,” he continued, before nailing him with a vicious clothesline, which began a brutal attack on his now-former best friend. This was a new Batista. A new animal had been unleashed. On the following RAW, Batista claimed that Rey tried to embarrass him, so he decided to powerbomb Rey until the EMTs had to scrape him off a steel chair. “Nobody disrespects me! Which is why I’m here to put everyone on notice that the World Heavyweight Championship is mine! The Undertaker is mine!” he demanded. Batista would interfere in Undertaker’s SmackDown match with Chris Jericho by chop-blocking him in the knee during his attempted Tombstone, then assaulting him with a steel chair. Soon enough, Batista’s world title match with The Undertaker would become a chair’s match for that very reason. Batista said everything about him screamed World Heavyweight Champion: the way he walked, the way he talked, the way he dominated inside the ring. And he was going to show the world that The Undertaker wasn’t all he was made out to be. In fact, when he looked into The Undertaker’s eyes, all he saw was fear. Despite his talk, Batista was the one acting afraid. Even when Undertaker was going to call him out for a face-to-face confrontation, Batista opted to attack him from behind with a chair yet again. But, with the use of steel chairs legal in their match at the Tables, Ladder and Chairs pay-per-view, how was The Phenom going to stop this altered beast? Like at WrestleMania, Batista attempted to hit a spear as the match kicked off. However, this time Undertaker moved out of the way, then hit The Animal with a boot to the face once he got to his feet. They now locked up and began what would become a bit of a stalemate. Whatever one did, the other had an answer for. By this point, they had faced each other three times and had months to watch tape of their previous bout. Both being veterans and former and/or current world champions, they weren’t going to be making the same mistake twice. The Undertaker knew he could beat Batista, because he did it before. What he couldn’t do, this time around, was come out champion as the result of a draw. And of course the wild card in this situation is Steve Austin, a man ‘Taker had a rich history with. After another big boot early, Undertaker went for a cover; 1, 2, kickout by Batista. Batista aggressively whipped and pursued Undertaker into the corner but was met with an elbow to the face. He fell to the mat, and Undertaker went for a pin: 1, 2, no. Undertaker locked in a variation of his deadly Triangle Choke submission hold. Once locked in, there was no way out. Luckily, Batista simply grabbed the nearby rope to force Undertaker to relinquish his grip. Batista was choked up, but Undertaker gave him no time to recover. He went to the outside and attacked Batista’s head, which overlaid the apron. Chops to the back of the neck and a boot to the skull of Batista before Undertaker crawled back in for the cover: 1, 2, no. Undertaker continued his assault on Batista’s left arm until Batista ducked a boot in the corner. Instead, The Deadman’s knee would slam against the turnbuckle. He positioned Batista for a boot in the corner, but Batista again ducked, sending Undertaker up and over to the floor. Batista headed outside and immediately sent Undertaker leg-first into the steel steps. Back in the ring, Batista used his weight to injure the back of his tall opponent. This match had gone at a very methodical pace, much more so than their other standard match at WrestleMania. The Undertaker simply preferred working that way, while Batista’s injured arm didn’t allow him to go full speed. In addition, neither man had really built up a head of steam thus far. Just when they got going, the other would take control. The see-saw bout tipped back into the favor of The Undertaker now, as Taker hit a massive leg drop on the apron to knock the champion out cold. “Unbelievable!” Jerry Lawler muttered, as Steve Austin simply shook his head in disbelief. Cover, 1, 2, Hell’s Gate! Undertaker countered into Hell’s Gate! Next was the Batista Bomb, but Undertaker countered once again into a back body drop. Undertaker pursued Batista, but Batista tripped him up, making his face slam against the bottom turnbuckle. Batista mounted Undertaker in the corner, leaving himself in perfect position for an emphatic Last Ride! Undertaker collapsed to the mat. He had next to nothing left, but somehow got arm over Batista. The crowd counted as Austin’s hand slapped the mat: 1, 2, no! Undertaker motioned for the Tombstone Piledriver. He picked Batista up, but Batista got out and hit a spinebuster into a cover: 1, 2, no! Undertaker rose up, and Batista looked absolutely horrified. What kind of monster recovers from a spinebuster from a 300-pound man that quickly? Batista kicked Undertaker in the gut once they were both standing for the Batista Bomb! 1, 2, no! The Undertaker kicked out of the Batista Bomb! Batista looked to Stone Cold stunned (pun fully intended) as if asking what more did he have to do? What more was it going to take to put The Undertaker away? For the past couple of weeks, Batista had been crazed and possessed over the thought of stepping inside the Hell in a Cell with the man who made the structure famous. No, he wasn’t afraid of The Undertaker, but he was aware that if he wasn’t at his best, he may not escape this match the way he entered. The Undertaker slammed the cell door shut, just as he had months ago when he stepped inside the steel cage with The Animal. Everybody in the American Airlines Arena was on their feet for the beginning of this World Heavyweight Championship match, because they knew that they were about to witness history. The bell sounded, and the two combatants wasted no time before locking up. Batista wrenched in an early headlock, which Undertaker escaped by whipping him across the ring.Batista knew that the longer the match went, the better Undertaker’s chances were. Therefore, he came out of the gate urgent and looked to end this match as soon as possible. Off the ropes, Batista grounded Undertaker with a shoulder block, then hit him with a clothesline. Undertaker would attempt to get in some offense and eventually would with a clothesline after Batista elbowed out of an early chokeslam. Cover, 1, 2, no. As good as The Undertaker had been throughout his career, he had noticeably stepped up his game as of late for one simple reason: to defeat Batista. Undertaker now scaled to the apron, measured and struck with a leg drop to the throat of the champion. “This is Batista’s worst nightmare!” JBL claimed, speaking of the fact that The Undertaker had begun to get on a roll. Undertaker innovatively placed a steel chair under the throat of Batista and slammed it against the steps. Fifteen years in the company, and The Undertaker was still finding new ways to injure his opponents. Batista choked up blood and was gasping for air on the ground. Undertaker would place his foot on his throat and watch him suffer further. One could only assume that The Undertaker was weakening Batista’s neck for his signature Hell’s Gate submission hold, which was virtually inescapable. In addition, with his mouth open to breathe, Batista was more vulnerable to boot or punch knocking him out. Undertaker continued his dissection, again driving the steel into the throat of The Animal. Batista somehow thwarted Undertaker’s Old School attempt and met him on the top rope. Superplex! The ring rattled as both men fell in a heap to the canvas. How much did either have left? Batista crawled to a cover but was stunned with Hell’s Gate. Hell’s Gate was locked in on the weakened throat of The Animal. How was Batista going to escape this move before it lulled him into unconsciousness? He would roll into the ropes, and the referee broke the count in a controversial call. Generally, rope break isn’t allowed inside Hell in a Cell, but it saved Batista and likely his world title here. Batista went to the outside for a breather, but Undertaker wasn’t interested in giving him one. He threw himself onto Batista on the floor. Undertaker placed Batista in the corner of the cell and was ready to strike him with the steel steps. Fortunately for Batista, he instinctively blocked the shot with his legs. Batista battered Undertaker’s head against the steps before bashing his skull with those same steps. One, two, three, four shots to the head of The Undertaker with the steps. Blood now gushed from Undertaker’s forehead. “We may have us an even ballgame, Michael!” JBL said. Batista hit Undertaker with a series of strikes in the corner of the ring and then bit his face, in an attempt to open up his wound even more. I guess they called Batista an animal for a reason. Undertaker responded by lifting Batista up and slamming down for a Last Ride! Cover, 1, 2, no. Next was the chokeslam! Cover, 1, 2, no! Undertaker called for the Tombstone, but Batista would reverse it into a spinebuster. Cover, 1, 2, kickout! Batista planted Undertaker again with the spinebuster before fetching himself a table. He’d hit Undertaker with a Batista Bomb through the table! Will he retain his championship? 1, 2, shoulder up at two-and-a-half! Batista placed the base of the steel steps inside the ring and scooted them behind the nearly lifeless Phenom. He positioned him for a Batista Bomb, but Undertaker countered into a back body drop onto the steps. Undertaker pulled him onto the mat for the pin: 1, 2, rope break. He pulled him up and hit a Tombstone Piledriver! He crossed Batista’s arms. “The Undertaker is going to win the championship for the fifth time!” Michael Cole claimed confidently. A look of disbelief could be seen on The Undertaker's face. How many men have kicked out of the Tombstone? What more did he have to do? He climbed to the top of the steps, hoisting Batista over his shoulders and dropping him into a Tombstone onto the steps. Undertaker dropped him onto the canvas and went for the cover: 1, 2, no! The referee was pulled out of the ring by a man dressed in all black. That man? Edge. Edge took a camera, entered the ring as Undertaker looked at him dazed and confused, and bounced it off Undertaker’s skull. He then placed Undertaker’s head on the steel steps and hit his patented con-chair-to. The bell sounded as Undertaker had his eyes glued on Batista, and we were off. Batista immediately headed to the outside to grab a steel chair, but Undertaker placed his foot on it when Batista was ready to slide back inside the ring. He went to grab another, but Undertaker met him with a right hand to the face. Batista scurried a bit, but Undertaker tracked him down to hit his spine with the cold, remorseless weapon. Batista, though, would grab The Undertaker and direct him back inside the ring. This caused Undertaker to enter before Batista, which allowed Undertaker to nail him with an unexpected clothesline. Undertaker slammed his head into the turnbuckle and then resorted to his elite striking game to the abdomen of Batista. Next, he chopped down the big man’s knee and attacked him vertically while he was on the canvas. With Batista back to his feet, Undertaker whipped him to the opposite side of the ring. Undertaker rushed the corner, possibly for a clothesline or splash, but Batista elbowed him away. Batista rushed out of the corner to hit Undertaker with a clothesline. Undertaker powered out of the following pinfall at one. On the mat, Undertaker yanked down the second rope to send Batista flying to the floor. There, he used both the chairs and steel steps to his advantage, but to no avail as Batista took control. Matt Striker presumed on commentary that since Batista’s protein intake was more than The Undertaker, that his bones would be denser, causing the steel chair shots to hurt less. Would that theory be proven true on this night? Undertaker tossed a chair inside the ring as Batista escorted him to the other side of the squared circle. He’d drive Undertaker spine-first into the ring apron—the hardest part of the ring. Batista tried whipping Undertaker into the steel steps, but Undertaker reversed and sent him flying over the barricade into the timekeeper’s area. Undertaker tossed two more chairs into the ring before going for a big boot over the barricade to Batista’s skull. However, Batista ducked, and Undertaker landed awkwardly atop the barricade. Batista now attacked Undertaker with a chair. He chopped him down to size then used the chair to choke him with. Undertaker was nothing but a sitting duck, as Michael Cole put it. He brutalized The Deadman on the outside, but Undertaker moved out of the way of a chair swing to his arm. The chair instead hit the ring post at full speed, stinging his hands. Undertaker returned to striking the head of The Animal. He rolled him back inside and placed his head eerily on the apron. He booted him in the skull before scaling the apron and dropping his 300-pound frame on his throat. Undertaker crawled underneath the bottom rope to go for a cover: 1, 2, no. Undertaker readied Batista for Old School, but Batista thwarted it as he climbed the turnbuckles before nailing him with a superplex. Pinfall, 1, 2, no. Batista placed a steel chair in the center of the ring, then positioned Undertaker for Batista Bomb. Undertaker however blocked the move, and instead hit a back body drop onto the chair. The two giants exchanged heymakers, until Batista eventually won the exchange with a spinebuster. Cover, 1, 2, no. Batista wedged a chair between the second and third turnbuckle on the left side of the ring. He wore down Undertaker with elbows and knees and whipped him across the ring. Unfortunately for Batista, Undertaker ducked his strikes and hit him with a clothesline. Undertaker now went for Old School again, this time successfully. Out of the corner came Snake Eyes, then Batista shocked Undertaker with the spear. Cover, 1, 2: Undertaker got a shoulder up. Batista methodically continued his offense, by hitting a spinebuster on Undertaker onto a steel chair. Undertaker’s head bounced off the steel as Batista called for his signature Batista Bomb. He went to scrape Undertaker off the mat, but Undertaker suddenly locked in Hell’s Gate! Batista quickly faded away, but he luckily rolled into the ropes for a rope break. Batista recombobulated himself on the outside with a chair in hand, so as Undertaker ducked underneath the ropes to pull the altered beast back in, he was blasted upside the skull with a chair shot. The champion Undertaker was dire straights. He lifted himself up and barely dodged out of the way of Batista’s spear. Batista head would collide with the chair he’d wedged between the turnbuckles earlier in the match. Batista walked into a clothesline. Cover, 1, 2, kickout. Undertaker’s expression changed. He went from a man in trouble to a man looking to end a fight. He called for and promptly hit a chokeslam on Batista. Would Undertaker retain his title? 1, 2, no! Undertaker’s lower lip curled in anger. He slashed his throat, signaling that the end was nearing. A Tombstone was ready to be delivered. Batista, though, squirmed out and pushed Undertaker into the referee in the corner. With the referee oblivious, he low-blowed The Undertaker. And to finish him off, he dealt a steel chair chair shot to his skull. Cover; 1, 2, 3. “Batista is the new World Heavyweight Champion!” Michael Cole shouted, with an underlying tone of anger in his voice. Not so fast, however. SmackDown General Manager Theodore Long came out and explained while the use of steel chairs was legal, "blatant fouls" were strictly prohibited. Therefore, this match was to be restarted. Undertaker rose as Batista rushed back into the ring for the restarted match. Batista approached him with a steel chair, but was met with a boot to the face. Undertaker picked up the chair and crushed the spine of Batista. A second life, a resurrection, was all The Undertaker needed. Tombstone Piledriver! Cover, 1, 2, 3! The wrong was now righted. The Undertaker was still the World Heavyweight Champion. A rivalry that lasted nearly three years was ended decisively on this December night, as this was the final match these two would have against one another before Batista’s departure from the WWE early the following year. 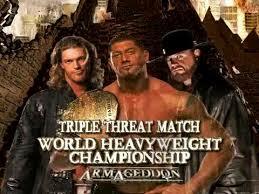 The final score was Undertaker two, Batista one, in addition to three occasions where neither man emerged the victor. Since this time, The Undertaker’s legend has only grown and he has managed to extend his WrestleMania undefeated streak to 21-0. With the final chapter written and the book likely closed forever, fans will look back on The Undertaker/Batista rivalry not for its promos, but for its matches. For the many physical, brutal and above all, epic encounters they delivered no matter the circumstance. The Undertaker versus Batista will forever be remembered as one of wrestling’s greatest rivalries.